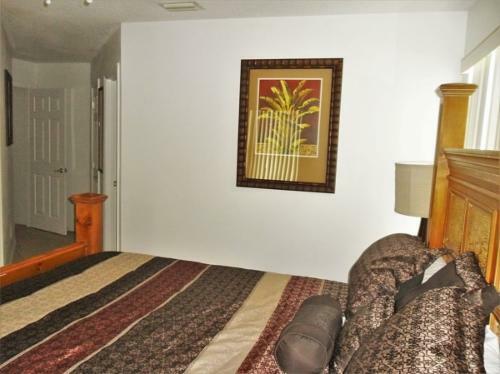 Bedroom 3 is a huge king ensuite bedroom located upstairs, to the rear and right of Treefield Retreat. 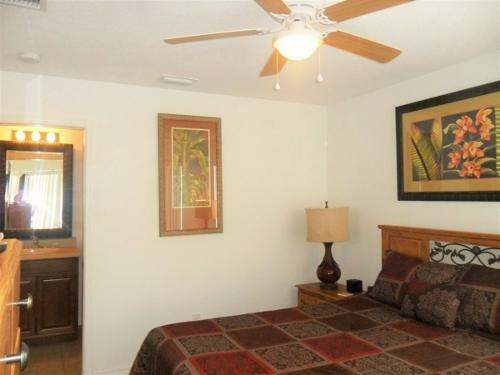 It is dual aspect with panoramic views of the pool area and conservation beyond. 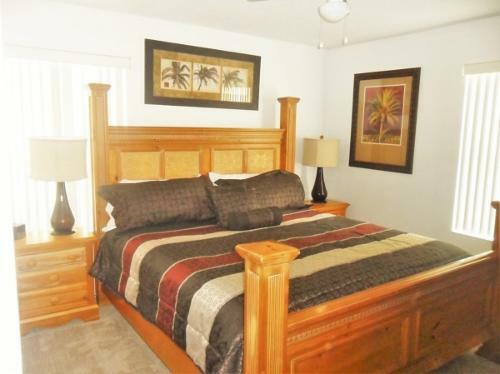 Bedroom 4 is a king ensuite bedroom upstairs to the front and right of Treefield Retreat. 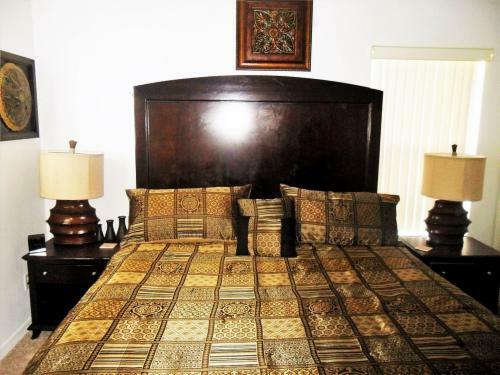 Bedroom 4 has beautifully decorative Indonesian real-wood furniture; a king-size bed, dresser and two nightstands. 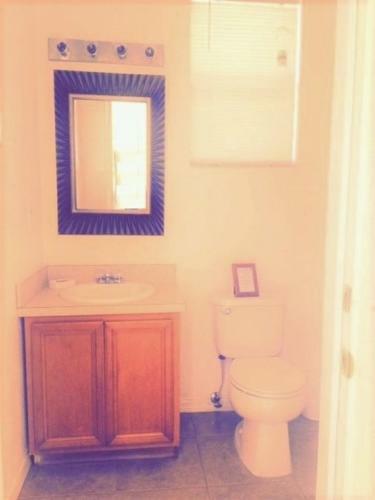 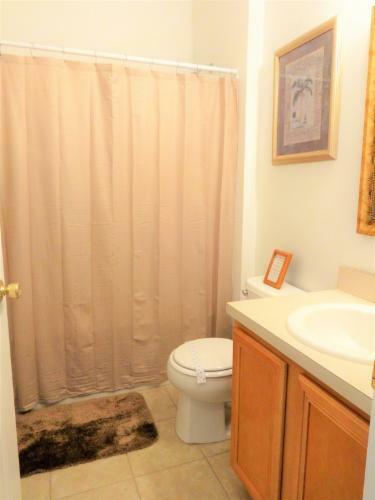 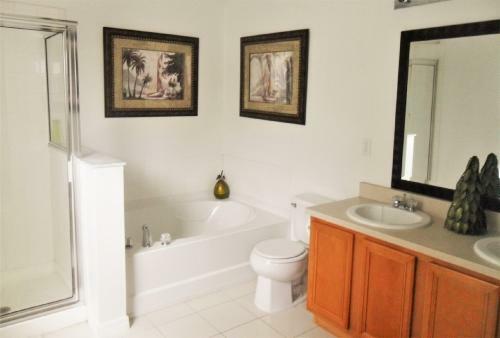 It is accessed by an unusual diagonal “tunnel” walkway for extra privacy. 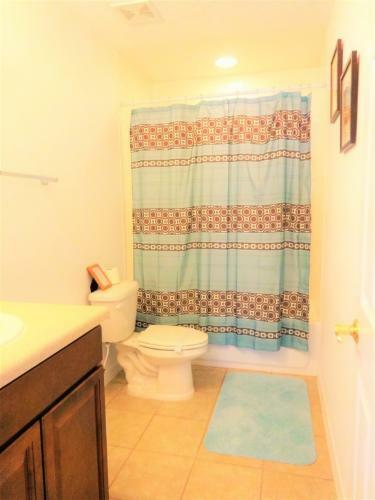 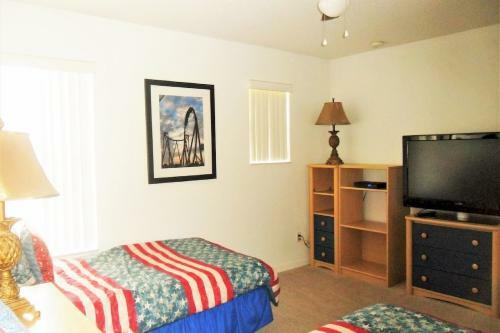 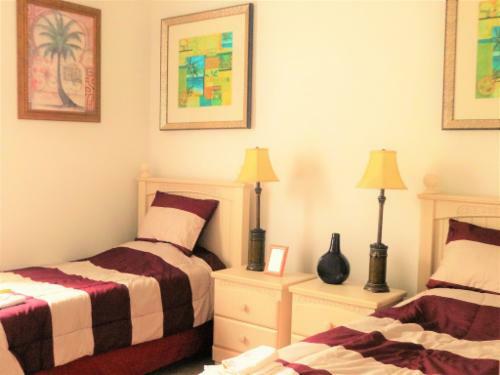 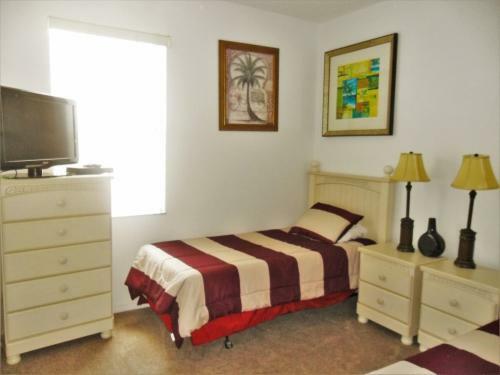 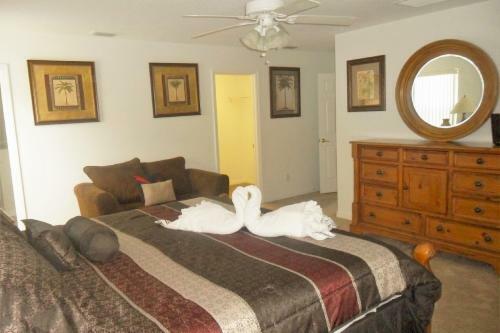 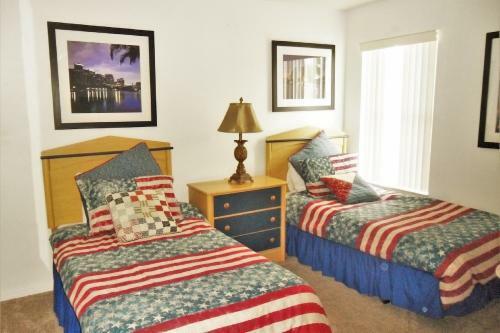 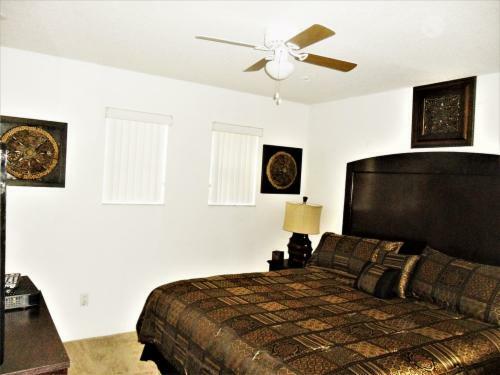 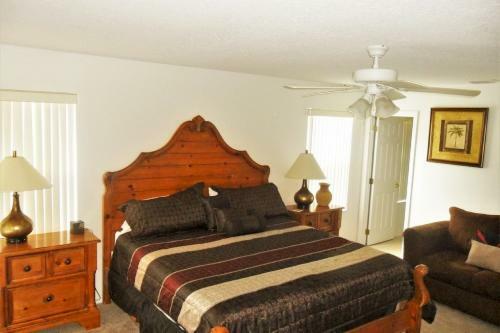 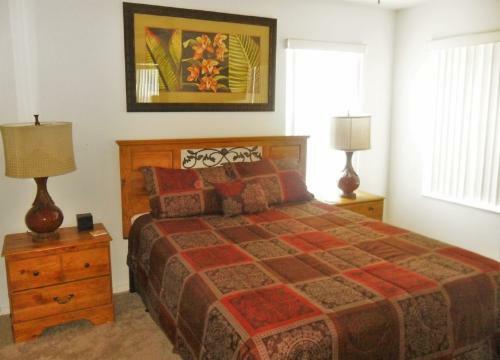 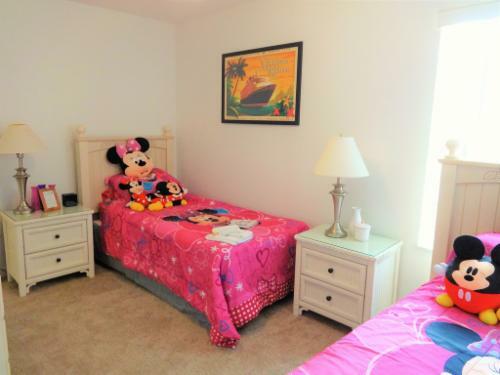 Bedroom 7 has an Orlando theme – with pictures of the Orlando skyline and rollercoasters. 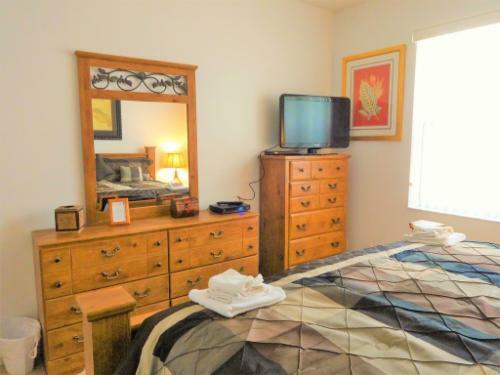 There are two dark blue twin-beds, a dresser, a chest of drawers and a nightstand.There is a 32” TV with DVD player, a ceiling fan and a large step-in closet.